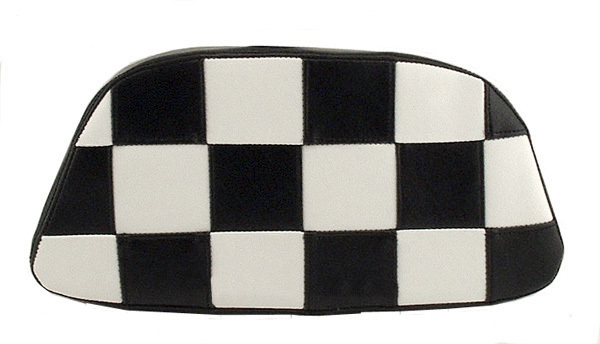 This is not a printed material, our Ultimate Mod back rest cover is hand crafted in marine vinyl black and white squares stitched together and framed in black. Completely waterproof and UV stabilized, this back rest cover is easy to maintain, once you put it on, you can forget about it! You will have to unscrew the backrest from inside the top case, attach our cover to the backrest pad, and reattach it to your topcase. No staples or tricky assembly is required with our backrest pad covers, and you can remove the cover whenever you like. 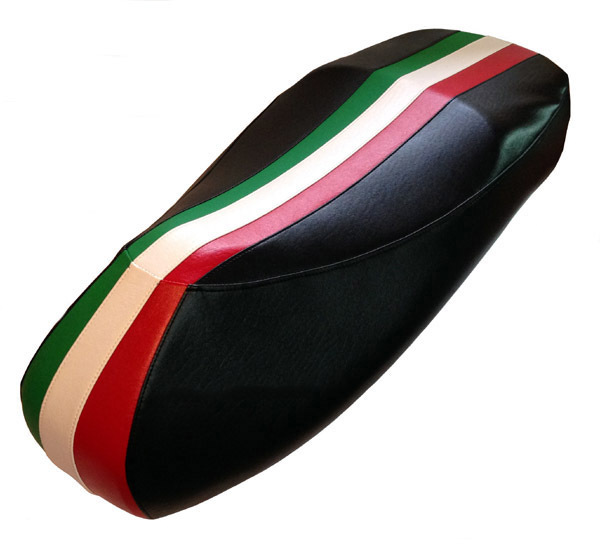 People will think you had your backrest upholstered, because the way we tailor our covers gives them a beautiful fit and finish.